If you are considering studying Law, with a view to becoming a barrister (or solicitor ), this competition may be of interest to you. To be in with a chance of representing CCS in the national draw, you must submit an 800 word Reflective Piece on Life as a Barrister to Ms McGeehin in R.132 when we return after the Hallowe'en holidays. The TY who writes the best essay will go forward. Each school submits one name only and there is no guarantee of a successful outcome. 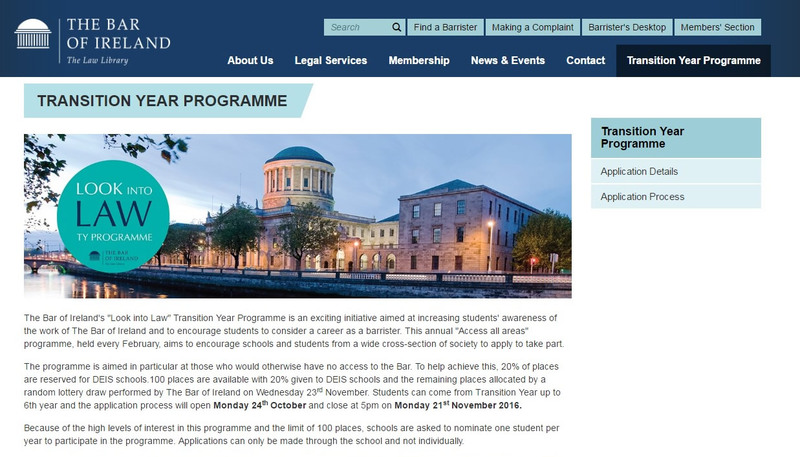 Pupils would have to have somewhere to stay in Dublin.